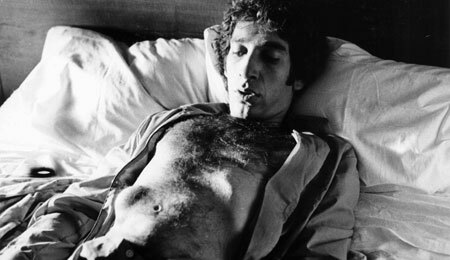 David Cronenberg's film "Shivers" started with a dream in which two people were lying together in bed at night and the man wakes up, looks over to the woman and sees her mouth open and out of the mouth comes a spider and walks out of her mouth, goes around the house and goes back into her mouth, into her body.. It wasn't a horrific dream, it was just "Oh yeah. the spider that lives in her mouth" and it just lived there. During the day the woman herself would know nothing about it. He thought to himself in reflection, "My God, that image is really giving a physical presence to the idea that things go on within us which are strange and disturbing. "Also, it seemed the spider in some way gave her life when she was awake. Embodying that in an insect or creature was really the unique thing about the dream, but he couldn't actually do a spider because it's really hard to make a creature like that with legs that worked, so it became a slug like parasite. And that image was really the crystal around which the rest of the film Shivers formed.